On the eve of celebrating its golden jubilee year, the Hyderabad-based National Institute for Micro, Small and Medium Enterprises (Ni-MSME) plans to train 25,000 youths of southern and central states in 2011-12 imparting various skills through partner institutions. According to Director General Chukka Kondaiah, 10,000 youths are to be in Information Technology subjects from Hyderabad alone free of cost. This initiative is part of the golden jubilee celebrations. The institute is planning several programmes from July 1 to June 30, 2012, to mark the occasion with the objective of “sharping the human resource skills of youths." The organisation has been successfully continuing on self-supporting basis for 10 years now and achieved a record revenue of Rs 20.80 crore last fiscal by catering to the needs of 23,000 participants, highest ever in the history of the institute. 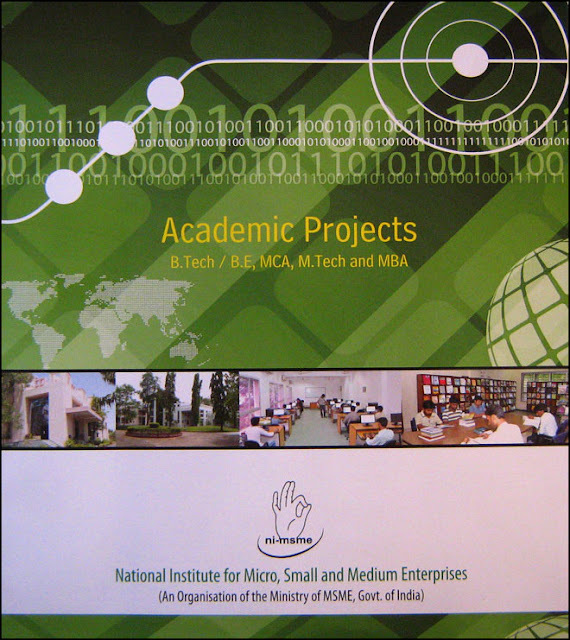 A body under the Ministry of Micro, Small and Medium Enterprises, Ni-MSME has been contributing to the promotion of micro and small enterprises through various programmes both in functional (like skill development, cluster development and policy management) and sectoral (food processing and intellectual property rights) areas. The Scheme of Assistance to Training Institutions through partner institutions (PI scheme) has proved a great advantage. During this year (2010-11) NI-MSME has partnered with 25 institutions, imparting training to 10,000 FGEs concentrated in rural areas and among vulnerable groups – SC, ST, women and so forth. In 2011-12 the Hyderabad-based institute is envisaging to work through more than 30 PIs in the southern and central states of the country. Ni-MSME is formerly known as National Institute of Small Industry Extension Training (NISIET). The Present programme is offered at free of cost for the benefit of students. NIMSME is an apex training institute of Ministry of Micro, Small and Medium Enterprises, Govt. of India. National Institute for Micro, Small and Medium Enterprises (NIMSME) is inviting final year B.Tech., B.E. (ECE/ EEE/CSE/ IT/ CSE), M.Tech., MCA, and MBA students for career and project guidance by Industry experts. C-CIT, a center of NIMSME helped more than 3000 students of B.Tech./MCA in project preparation. This year also it has planned to provide Live Projects to the B.Tech., B.E. (ECE/ EEE/CSE/ IT/ CSE), M.Tech., MCA, and MBA students during December 2011 to April 2012.